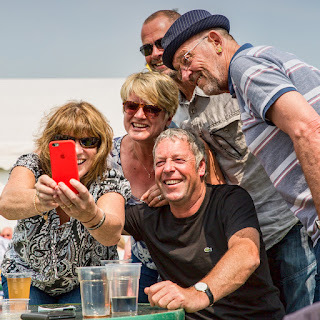 Beer and Cider by the Sea returns to Eastbourne’s Western Lawns on 26-28 May for a bank holiday event that is selling faster than ever before. Beer and cider enthusiasts can expect to get a real taste of Sussex thanks to an increase in locally-brewed beers ready for the picking at the fifth anniversary year. Over 100 real ales, ciders and perries have been handpicked by the event sponsor, CAMRA, including the award-winning Black Cat Tzar Russian Stout which took home the bronze medal in the Society of Independent Brewers competition. Amongst the mouth-watering picks representing national breweries is the specialty ale ‘Chocolate Orange Delight’ and refreshingly zesty pale ale ‘Mad Goose’. Due to the ever-growing interest in local breweries and micro-breweries, this year’s selection of Sussex beers has increased by a third. This year’s selection of local beers includes the rich, golden ‘English Garden’ and chocolatey ‘Parabellum’ Milk Stout which is the main ingredient for Bodiam Ice Cream’s beer flavoured ice-cream which is served at the Dolphin Pub on South Street! There’s a beverage for all tastes at Beer and Cider by the Sea with a cocktail bar offering classic drinks from a minty Mojito to a sweet Woo Woo, plus soft refreshments at the bar! The Western Lawns is the perfect festival spot for soaking up the sun and washing down delicious nibbles from Olives and Things with a punchy apple cider. Taking the main stage across the weekend is a whole host of live bands. Kicking off the bank holiday weekend is Friday night’s headlining act ‘The Tar Babies’ who will be taking their audiences back to the swinging sixties with music to get crowds up and dancing! Ticket prices start at £6 for adults and can be purchased from the Tourist Information Centre in Cornfield Road and the Seafront Office or ordered online at www.EastbourneBeerFestival.co.uk. It’s not too late to buy tickets for the Autumn Beer Festival on 5-7 October at the Winter Garden for a weekend of live music, pub style games and even more real ales chosen by CAMRA.